I received an invite to Studio 189's NYFW presentation this past September and was disappointed that I couldn't work it into my schedule. What's the GOODness: Studio 189 is a social enterprise created by Rosario Dawson and Abrima Erwiah that consists of creatives that seeks to provide a platform to help promote and curate African and African-inspired content through an e-commerce shopping site, a supporting agency and an artisan produced fashion collection, called FASHION RISING COLLECTION, launched in support of V-Day's One Billion Rising. What's Chic:They've collaborate with Vogue Italia (my favorite of all Vogue) and Yoox.com so you know they have fashion street cred. And an example of what they carry is this beautiful tailored cape made from tweed and indigo. Studio One Eighty Nine collaborates with artisans in Accra & Cape Coast Ghana to make men’s and women’s suits, coats, trousers and similar garments, with fabrics such as wool, linen or silk. the tailor is met locally and the garment produced locally. They work with 2nd and 3rd generation tailors that have apprenticed in workshops of older experienced tailors and learned the craft. 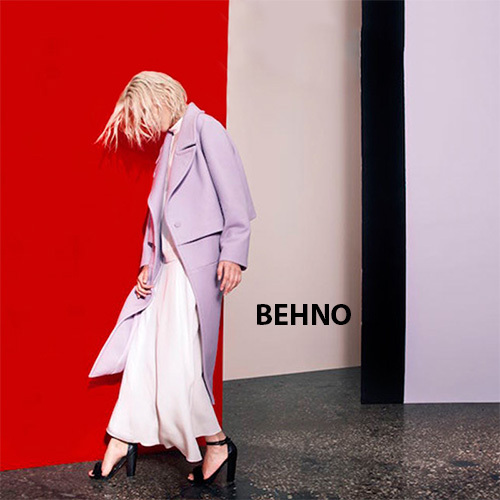 What's the GOODness:Behno’s mission is to redefine and bring sharp awareness to the craft and character of “made in India” and to set a new standard for manufacturing for India’s garment trade that revolutionizes the way garment workers are treated, viewed, and employed. Further, behno aims to become a part of a global mission to inspire change and improve factory conditions to augment the quality of life and safety of individuals in the garmenting spaces of developing countries by working in partnership with factories that adhere to rigid factory compliances. behno has also partnered with a large nonprofit and a successful industrialist of the garmenting industry to build an ethical garmenting factory in India called MSA Ethos. MSA Ethos implements The behno Standard, which is broken down into six categories:health, garment worker mobility, family planning, womens rights, worker satisfaction and benefits, eco-consciousness. What's Chic: Their clothes are high-quality, luxurious and tailored - like the wool blend coat shown here. Clean lines with a timeless quality these are pieces I can see buying now and still wearing when I'm 80. Which, by the way is often my litmus test as to whether or not I find something truly fabulous because I intend to be a beyond fabulous 80 year old! What's the GOODness: Since the beginning, and as a result of the company’s commitment to the local economy, the Zero + Maria Cornejo collection has been largely produced (70%) in the heart of New York City’s Garment District with the exception of a few categories, including shoes and handbags, which are made by small, independently owned factories in Italy. Dedicated to fostering a company ethos that is just as committed to its social impact as its environmental, Zero uses ecological and sustainable fabrics wherever possible. And as a company owned and run by women, the team continuously looks to develop special collaborations with women artisans around the world. What's Chic: When it comes to this label the question might well be what isn't chic? For Spring 2016 all the fabrics were created in-house: from the softest cottons to leathers treated to appear like crumpled paper. Fabrics were printed with brushstrokes and transformed into beautifully sculptural and highly wearable pieces. [/ezcol_1third] [ezcol_2third_end] What's the GOODness: The clothes are made in NYC and incorporate luxurious yet socially- and environmentally-friendly materials, including new innovative fibers such as European and American made recycled polyesters and nylons. Suzanne Rae also collaborates with expert artisans in Peru that keep their tradition of knitting alive, and works with women's cooperatives on the outskirts of Lima, promoting work that gives them the means to support their families. What's the GOODness: Each garment is sewn in a small, family-owned factory in New York from high-quality, low-impact fabrics including Japanese organic cotton, Italian vegetable-tanned leather, and dead stock wool from the local garment industry. She utilizes a range of eco-friendly, sustainable production techniques – from rust dyeing, bias cutting and zero-waste pattern making, to dip dyeing with natural dyes. What's Chic: full disclosure: I have always been slightly obsessed with Titania Inglis's outerwear. Unfortunately for me the Arctic Reindeer Jacket is slightly out of my budget. Her website describes her aesthetic perfectly. Evoking the quietly devastating beauty of the wilderness and the dark bravado of rock 'n' roll. It's tailor made for urban warriors and rock goddesses everywhere. [/ezcol_1third] [ezcol_2third_end] What's the GOODness:On the Dolores Haze website they list three areas of goodness: Girl Power, Social Responsibility and Sustainability. You can read it all online (and should) but the short version is it's made in NYC at a female owned factory with environmentally conscious methods of productions. [/ezcol_1third] [ezcol_2third_end]What's the GOODness:Tara St. James of Study NY is one of the leaders in the sustainable fashion community in New York. She believes the fashion calendar has it all wrong and has created the anti-(fashion) calendar. The concept is to release one capsule collection of 3-4 styles per month EVERY month of the year with each capsule being independent of the others, but cohesive in nature, creating a seamless “collection” at the end of the year. She has a complete sustainability strategy that includes a Zero Waste philosophy and a commitment to using sustainable fibers and textiles. [/ezcol_1third] [ezcol_2third_end]What's the GOODness: VOZ is a luxury ready-to-wear line inspired by the beauty of ancient cultures and ceremonial crafts that was founded by Creative Director Jasmine Aarons in 2012. VOZ honors and empowers artisans creatively, economically and culturally by providing education, sustainable fair-trade employment and a platform designed to preserve and support traditional art forms. Aarons collaborates with artisans in communities in Southern Chile and Peru to design, prototype and produce the defining elements of each collection. Focusing on textile creation, print and embellishments, artisans receive authorship credit and royalties for their design contributions.